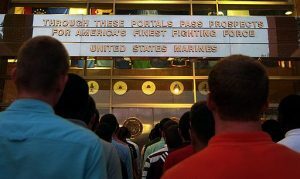 Ameresco plans to begin construction in the spring on a 10-MW military microgrid at the Marine Corps Recruit Depot (MCRD) in Parris Island, South Carolina. The Massachusetts company will integrate new on-site generation and battery energy storage into the microgrid under a task order with the Naval Facilities Engineering and Expeditionary Warfare Center (NAVFAC EXWC). The military microgrid will be located on the 8,095-acre base located on the southern coast of South Carolina, where about 19,000 recruits train annually. The project is the second major microgrid deal Ameresco has landed in recent months. In December, the energy infrastructure company unveiled plans to partner with PIDC on a 6-MW natural-gas fired peaking plant that will anchor the Navy Yard microgrid in Philadelphia. The Navy Yard is developing what is expected to be one of the largest private microgrids in the United States. Constructed under a $91.1 million energy savings performance contract, the Parris Island microgrid will include a new 3.5 MW gas-fired combined heat and power (CHP) plant, 6.7 MW-DC of solar photovoltaic panels, and 8 MWh of battery energy storage. Grid-connected, the CHP plant can offset utility purchases or provide on-site energy when the microgrid islands. It also will serve the full steam needs of the facility. Installation of the CHP plant will allow the base to eliminate use of fuel oil #6 and end its reliance on an aging power plant. Ameresco plans to take advantage of several abilities offered by advanced microgrid controls. For example, the controller will monitor and coordinate the dispatch of the energy assets and emergency diesel generators. 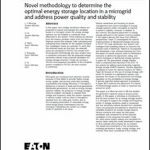 It will continuously check the health of the utility connections, and island the microgrid during a grid outage. The on-site energy sources will then supply the military base. The controller also will facilitate fast load shedding. Nicole Bulgarino, an Ameresco senior vice president, said that the military microgrid will revitalize Parris Islands’ overall existing energy infrastructure. “This project will provide MCRD a reliable source of heat and power combined with advanced controls and energy storage technology to allow the site to operate in island-mode during a loss of utility connection ensuring operation of mission-critical systems,” Bulgarino said. In addition to installing the microgrid, Ameresco is making energy and water efficiency upgrades to 121 buildings, and expects to reduce demand for utility energy by 79 percent and water consumption by 27 percent. More than 29,000 high-efficiency LED-based fixtures and retrofits will be installed to replace existing lighting systems. Other efficiency improvements include upgrades to the controls system, heating ventilation and air conditioning, chillers, cooling towers, lighting controls, water fixtures and steam traps. The microgrid is slated to be complete in the summer of 2019. 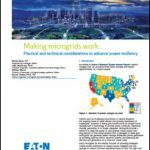 Track news about military microgrids by subscribing to the Microgrid Knowledge newsletter. It’s free.